For more immediate and personal assistance, call us at 713-892-5476. If you have questions or would like to schedule a consultation, please contact our office! Our office hours are Monday through Friday 8:00 am to 9:00 pm. We are also available by phone on Saturday and Sunday from 11:00 am to 5:00 pm. Suite 225 Houston, TX 77027. Head south-west on Bagby Street towards McKinney Street. Turn left at the 1st cross street onto McKinney Street, and then turn right onto Smith Street. Merge onto I-69 and go 3.6 miles. Take the exit towards Newcastle Drive and merge onto SW Freeway Service Road/Southwest Freeway. 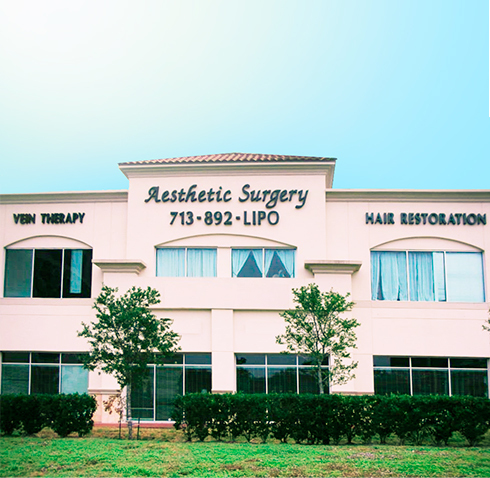 After a slight right onto West Loop South go 0.3 miles and Aesthetic Surgery Institute will be on your right. Start out heading east on US-90 ALT E towards Oyster Creek Drive. Turn right onto Dairy Ashford Road and then left onto U.S. 59 Frontage Rd. Take the Express Lane 59 slip road and merge onto I-69. Go 9.2 miles and take the exit towards Westpark Tollway. Keep left, following signs for Post Oak Boulevard. Turn right onto Richmond Avenue and turn left at the 1st cross street onto West Loop S. Aesthetic Surgery Institute will be on your right. Head South on Sam Houston Tollway W and merge left onto Westpark Tollway E. Stay in the left lane and take the Post Oak Blvd exit. Take a right onto Richmond Ave and then turn left after the bridge onto West Loop S. Aesthetic Surgery Institute will be on your right, behind Mattress Firm. Head West on I-10 W until you hit I-45 S, where you will merge to the left. Take Exit 47C onto McKinney St and continue until you hit the Wells Fargo Plaza. Take a right onto Smith St and follow it until you reach I-69. Head west along I-69 and stay in the right lane to merge right into Interstate 610 N. Take Exit 8C and find us on the right (behind Mattress Firm).